The wait is over! FIFA 17, the latest iteration in the football gaming franchise, is here. The developers at EA Canada have made some much-needed improvements, which are fantastic, but what sets this release apart the introduction of The Journey. This is the first iteration of FIFA to use the Frostbite™ game engine, developed by EA DICE; you can expect a far more detailed user-experience on the pitch. There were glaring differences between FIFA 15 and FIFA 16, which divided the fan base, which was pretty disappointing. 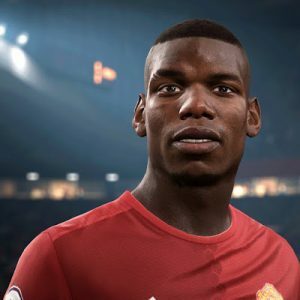 While EA has made gameplay improvements, the big change is the storyline; yes, even a sports game can have a plot – it’s known as the Journey. 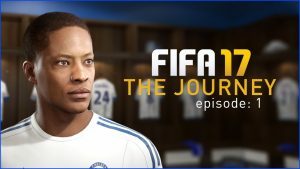 The player character is Alex Hunter (grandson of real –life former English striker, Jim Hunter); a young, very talented footballer who is trying to break into the Premier League; it’s your job to help him achieve this goal. You’re able to choose one out of 20 Premier League teams for whom Hunter can begin his career. You are unfortunately limited to select an up-field position (Right-wing forward; Left-wing forward; Centre-striker or Centre Attack Midfielder). Overall, even though the Journey is an interesting feature, it fails to live up to its full potential. The choices that you’re allowed to make are limited – fixed plot plans make it feel that you are not always in control of Hunter’s destiny. There are individual traits that you can give to Hunter such as his behavior during press interviews or his behaviour off the pitch, but, again, there are restrictions, which defeat the point of a proposed customised journey. EA has attended to the pace of the game (too fast in ’15 and too slow in ’16) and they’ve done well. You’re now able to dummy a throw-in, which allows for a better chance of defenders keeping possession. You also have more choice of strategy when taking a free-kick or penalty. You can also work on your skills with other players to improve basics such as passing, drills and even two-on-two matches – this is an awesome addition. The beloved Ultimate Team feature is still available and includes welcomed tweaks and changes. The bottom line is that FIFA 17 is a smash hit and will have you putting in a lot of “overtime”.